Need the ultimate in handling and ride height tuning? 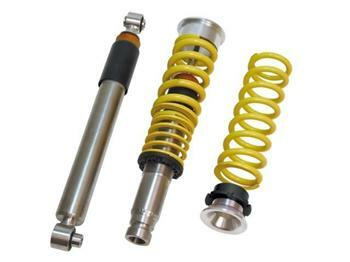 Belltech Coilover systems by KW are the answer, providing complete height adjustable replacement shocks and springs in an application specific complete coilover unit. Belltech Coilover systems by KW offer a complete solution for the front end of your Sport Truck or SUV consisting of two threaded body performance dampers in either stainless or mild galvanized steel featuring independent compression and rebound dampening (on some applications) combined with matched performance springs, dust boots & bump stops.